Hollywood Glamour inspired Bridal Beauty with Chiali Meng and Ivy & Aster. 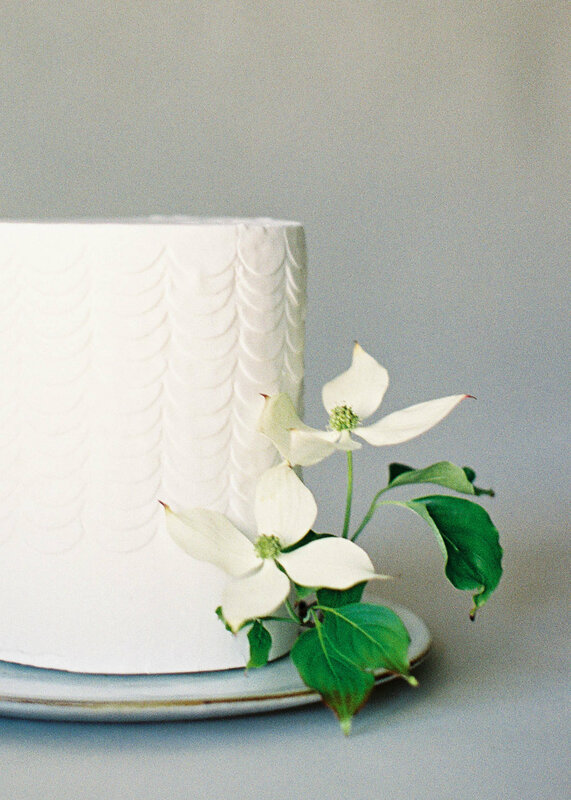 Conceptualized for the naturalist bride, these cakes were artfully baked by Nine Cakes and gracefully installed by Amanda Luu of Studio Mondine. 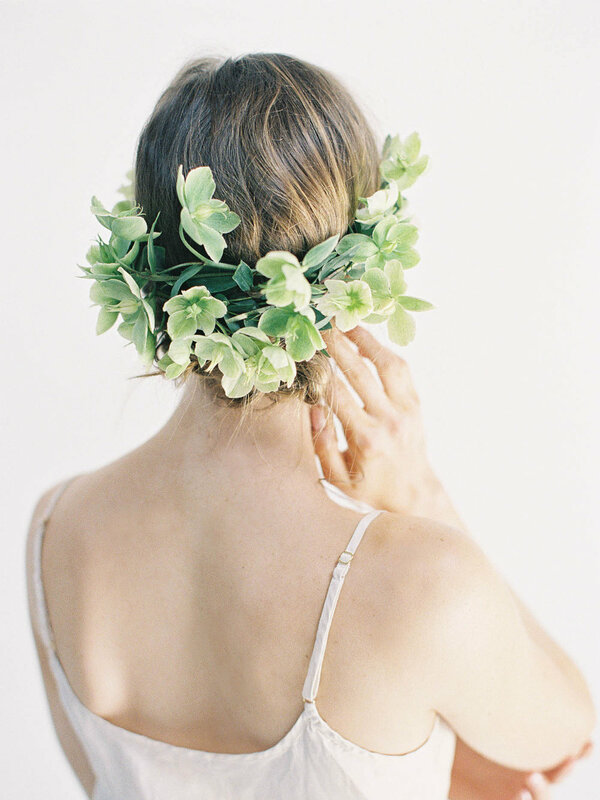 There's just something so whimsical about wearing fresh blooms in your hair. 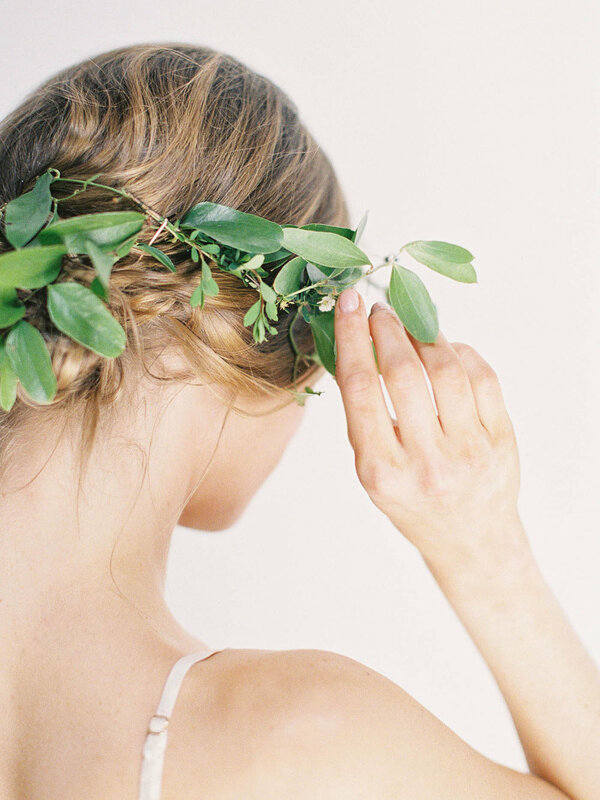 Whether you dream of wearing a lush fairy-tale crown or just a classic wreath, here's a few beautiful ways to complete your up-do with flowers. 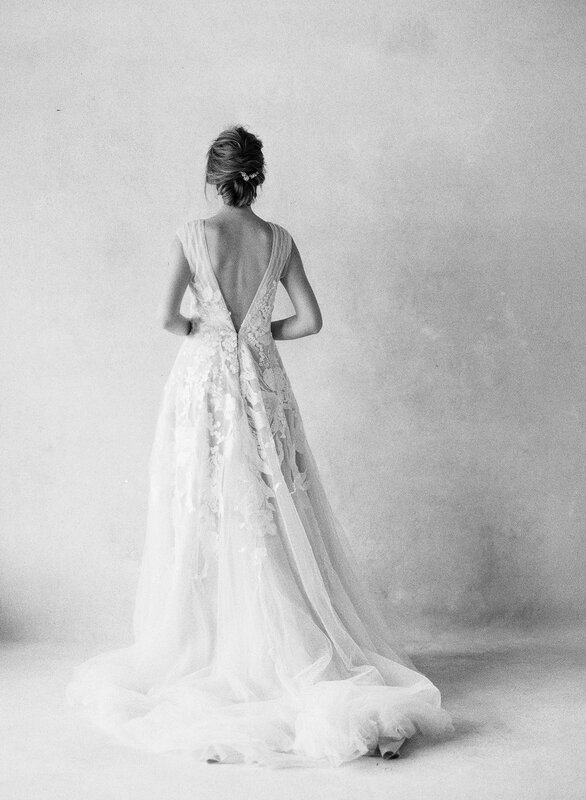 Which style would you rock on your wedding day? Tropical Crown: A big, statement hair wreath for an editorial look, featuring a bright yellow tree peony, kumquats on the branch and variegated greens. Natural Vine: Just one strand of smilax vine creates this natural circlet. Smilax is a great option for an outdoor wedding as it will last even through hot weather. 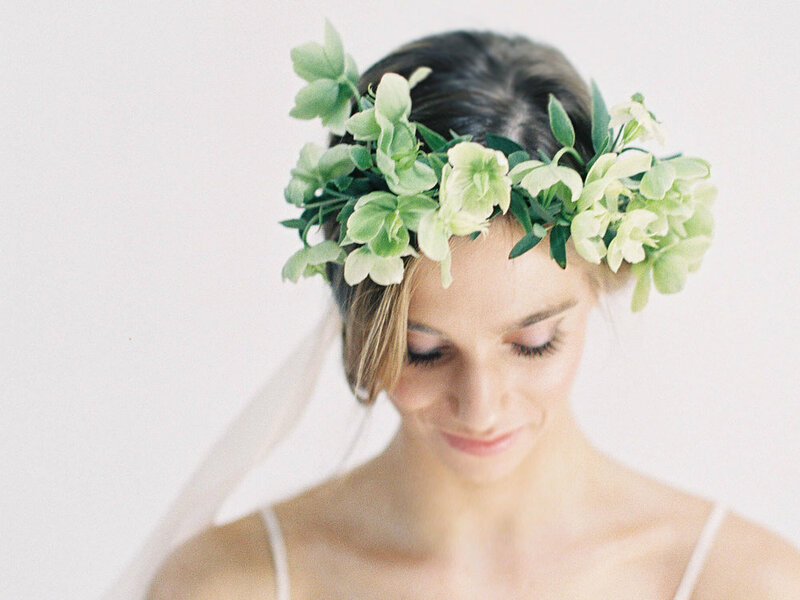 Floral Masterpiece: Can you believe this lush, gorgeous crown is made of silk flowers? If you're looking for big and bold, but worried about your flowers wilting through the day, consider a hand made silk piece that looks remarkably real and lasts a lifetime. 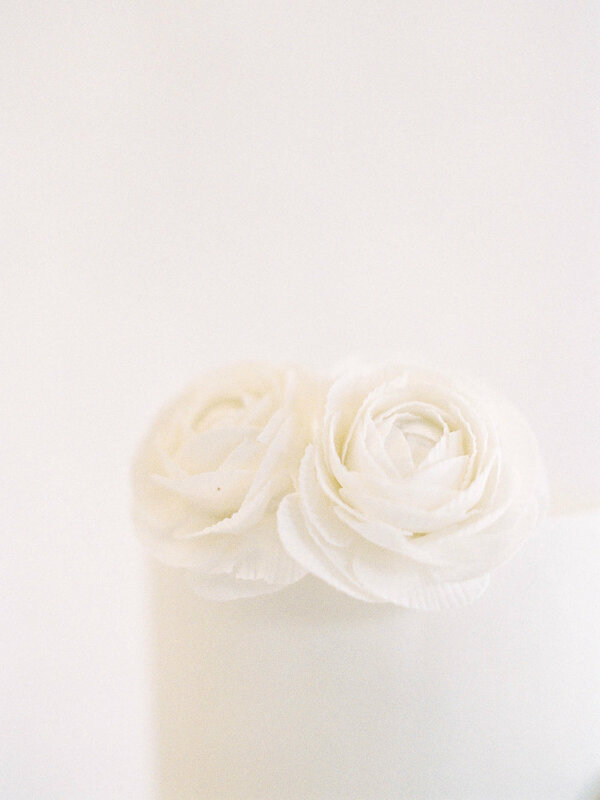 Delicate Blooms: White brodea is delicate and romantic, weave its florets through your up-do. Modern Simplicity: A floral ring of only hellebores is both simple and striking. 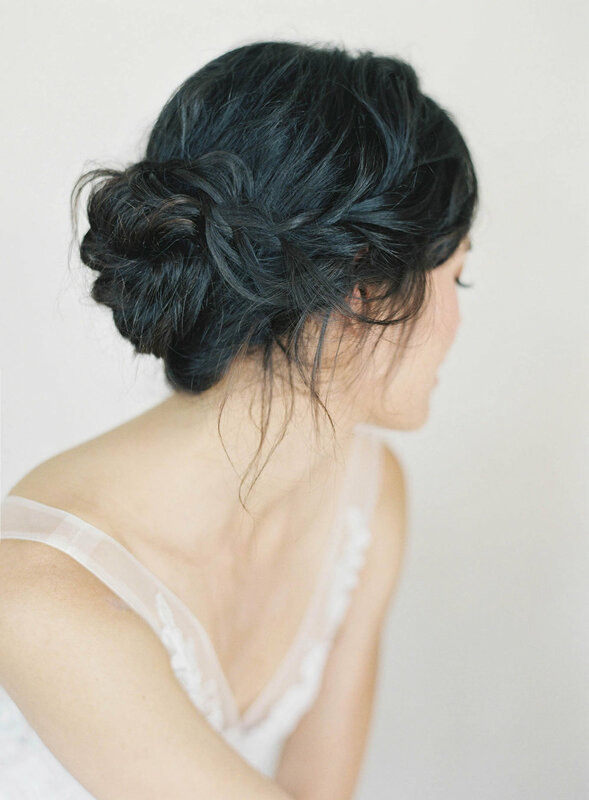 Romantic cluster: If you want to wear flowers and show off a lovely low updo as well, consider a small hair comb. 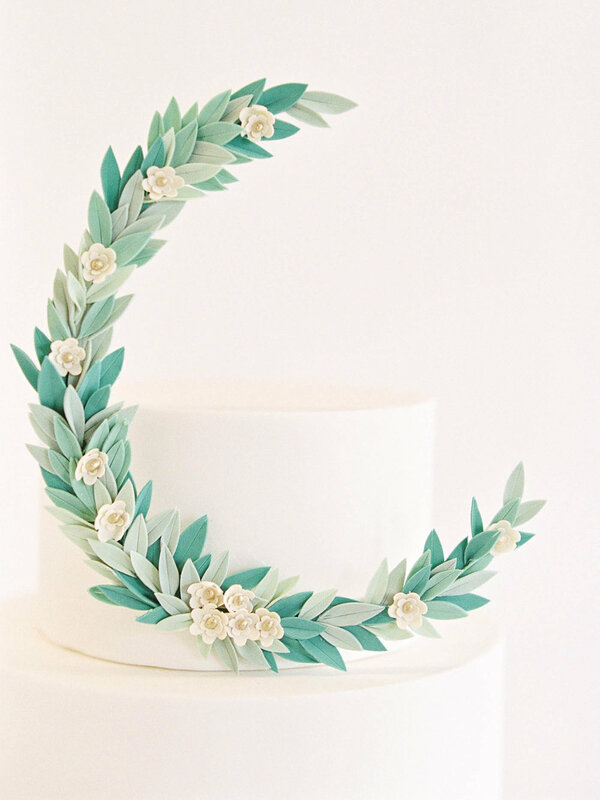 Composed of pistachio leaves and Sahara spray garden roses. Herbal Wreath: Eucalyptus foliage is hardy and fragrant, let it fill your day with relaxing herbal aromatherapy. One-sided Spray: An asymmetrical nod to greenery with a touch of floral from the flowering spirea. 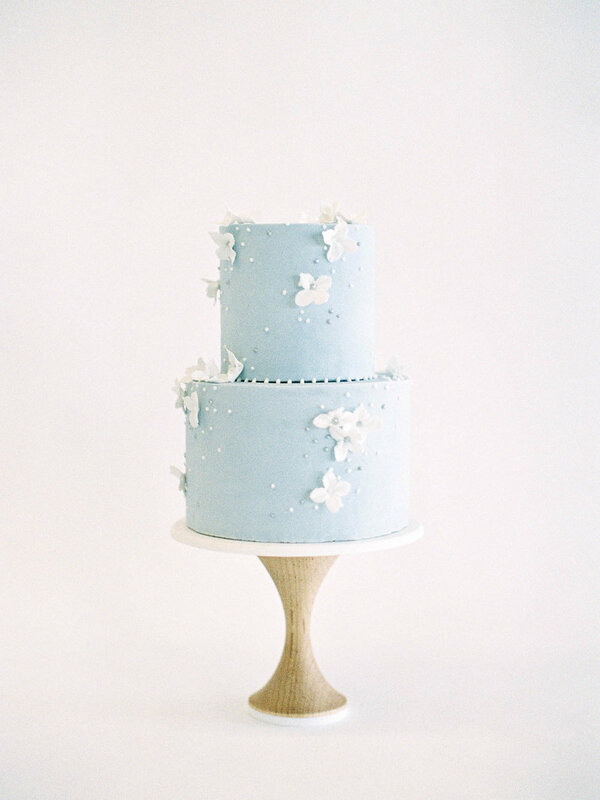 And did you notice my personal favorite way to incorporate flowers? Through double exposures on film, two images combined by light into one.